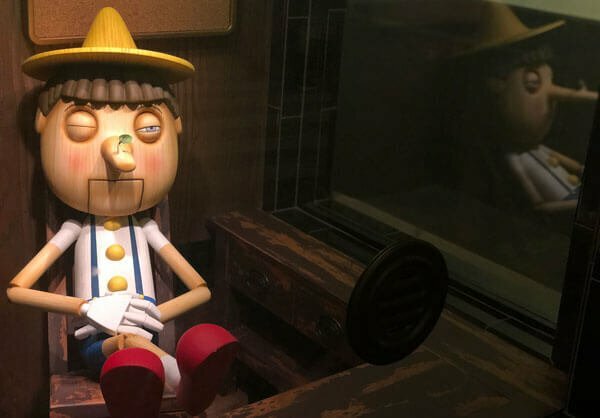 New Attractions, Magical Shows and Treats! 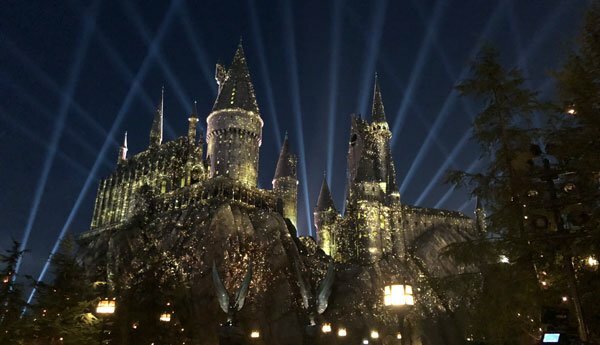 The vacation destination has something for the whole family as it opens the new DreamWorks theater this summer, Wizarding World magic takes lights to new heights on the Hogwarts Castle and Horror Nights plans loom on the horizon. 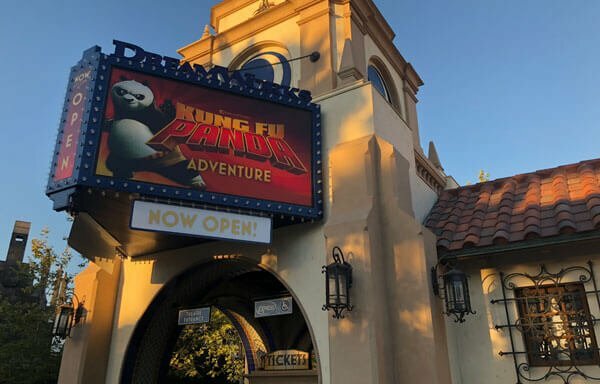 Well mostly Po, the great Dragon Warrior, and friends in “Kung-Fu Panda: The Emperor’s Quest[/kwlink]” the new immersive show inside the DreamWorks Theater! 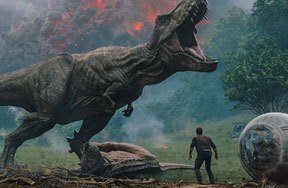 The attraction was recently re-imagined for a even bigger show filled with special effects, moving seats and awesome projections on the walls in a 360 experience like nothing else. 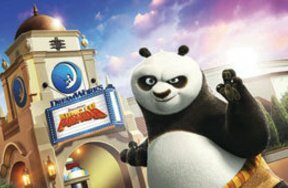 You join [kwlink 29933]Po as he ventures to retrieve a great treasure through wilderness and waterfalls with real splashes .This fun adventure is not to be missed if you love the films and want to see a new martial arts adventure with lots of belly laughs! 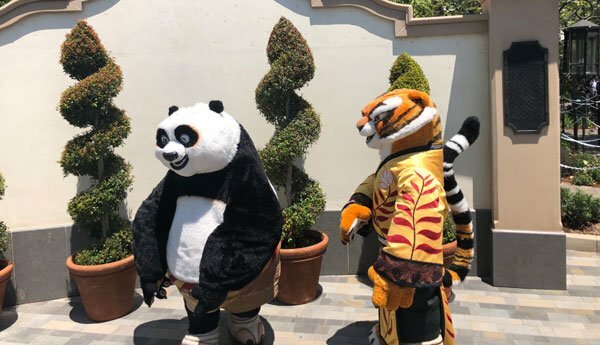 And after the show you can meet both Po and Tigress outside in the theater courtyard. The iconic drink from the "[kwlink 26322]Harry Potter[/kwlink]" books can be found in Hogsmeade at the Hog’s Head restaurant and at the carts around the Wizarding World haven. 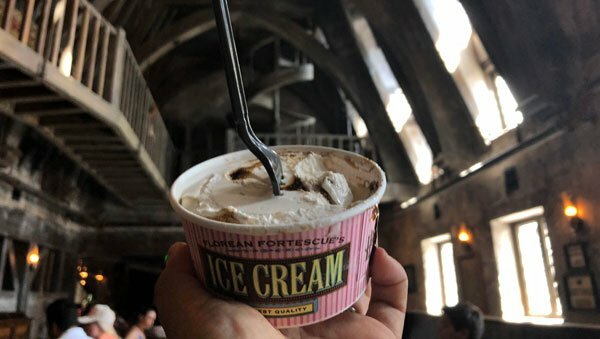 There’s the regular fizzy drink, the frozen slush with the creamy float, hot butterbeer (not recommended for the summer heat in LA but you do you), Butterbeer candy, Butterbeer Pot de Creme and debuting this summer: BUTTERBEER ICE CREAM! We’ve tried most of the forms you can consume Butterbeer in--even the hot butterbeer. And we can safely say they’re all amazing. 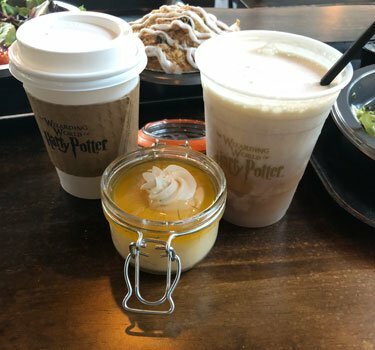 But if we had to rank them we’d go with Frozen Butterbeer > Butterbeer Ice Cream > Butterbeer Pot de Creme > Hot Butterbeer > Regular Butterbeer. There’s also great dining options inside Hogsmeade that makes you feel like you’re dining in the great hall with your friends with delicious seasonal food specials like the cheese toasty. 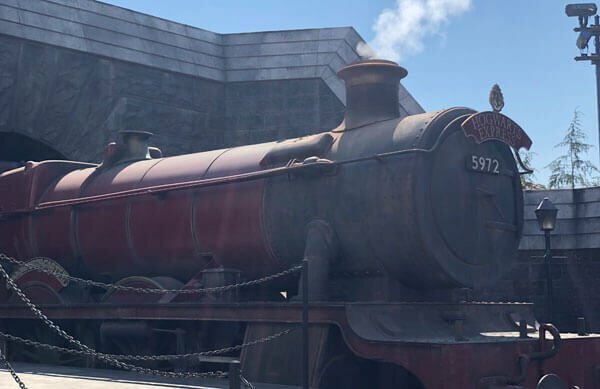 One of the best rides at the theme park is the Studio Tour, it’s my personal fave, because you get to drive through real movie sets, see the stars, and enjoy a bit of Hollywood magic that only Universal Studios Hollywood has. 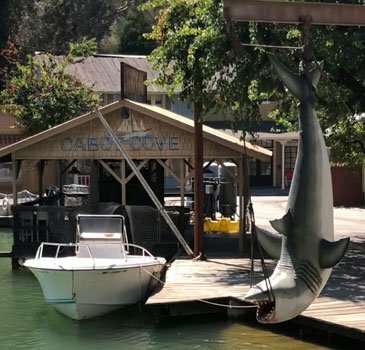 You even get to drive through sound stages that take you to Skull Island where you have an encounter with King Kong, go on a high octane car chase with the Toretto family in "Fast and Furious: Supercharged", consider a stay at the Bates Motel, and cruise by Amity beach where you might get a little too close to Jaws. 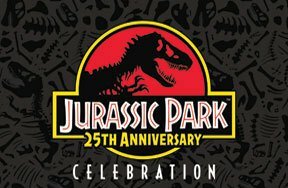 Around the park you’re also able to ride the original Jurassic Park one last time before it closes in the fall to make way for new life in a Jurassic World attraction that’s coming in 2019. You can even meet Blue at a Raptor Encounter. And be sure to ride even more thrilling attractions like the "Revenge of the Mummy Coaster", "Minion Mayhem" and the "Transformers" ride. Show your house pride every evening this summer as magic lights up on Hogwarts Castle in a celebration of all the Hogwarts houses. Gryffindor, Slytherin, Ravenclaw and Hufflepuffs unite with their colors to spectate a show inspired by the house mascots and cheer! Offered a few times a night, this is a spectacular way to cap a night at the parks. But be sure to line up early and don’t get lost inside Harry Potter and the Forbidden Journey. Around the ride queues and on the backlot construction is underway for Universal Studios Hollywood annual "Halloween Horror Nights" events. 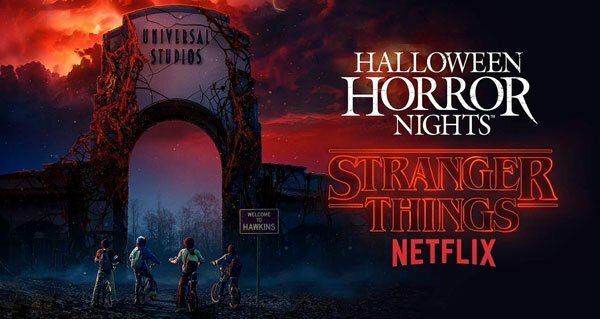 This year promises to turn things UPSIDE DOWN with the "Stranger Things" maze that’s been announced, which will take fans of the Netflix show into it’s worlds with our fave friends. It should be relatively safe if we have Eleven on our side against the Demogorgon. 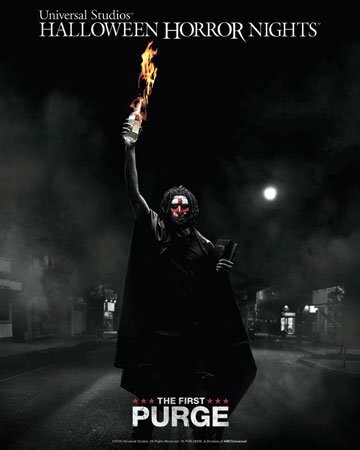 Also announced is a maze for "The First Purge", based on the latest film from Universal that will surround attendees in the lawless mayhem of the Purge franchise films. As well as a new maze for the horror anthology film Trick r’ Treat, one of the most underrated Halloween movies that re-imagines the holiday and monsters in a way that captures the spirit of the holiday in new terrifying ways. 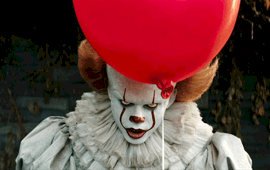 Watch the movies before going to Horror Nights, trust that it will enhance the experience when you meet Sam, the icon of the film. Can you handle Purge Night at Universal? Halloween Horror Nights begins on Friday, September 14, 2018. 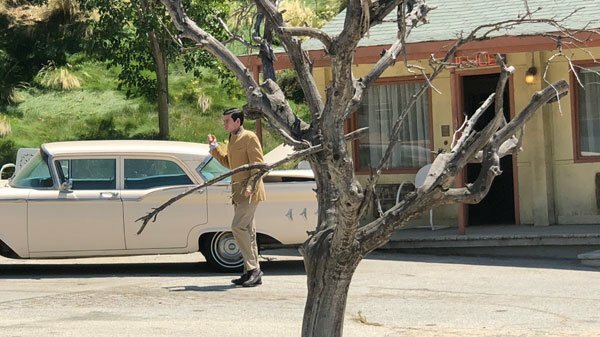 What’s your dream trip to Universal Studios Hollywood? Summer fun in the sun or Fall Halloween scare? Let us know in the comments below! Do you like watching Horror Movies?